A study of 1000 UK drivers has discovered that nearly three quarters don't know the correct speed limit for cars on single carriageway roads. The research, carried out by HPI, reveals that 43 per cent of respondents incorrectly think the speed limit on national speed limit single carriageway roads is 70mph. A further 29 per cent think it's 50mph, while just 28 per cent correctly identified it as 60mph. Despite this, statistics by the Department for Transport (DfT) reveal that 60mph roads have the highest levels of speed compliance - with just nine per cent of cars exceeding the limit. A worrying 52 per cent of cars exceed the limit in 30mph zones, while a shocking 86 per cent break 20mph limits when conditions allow. This is reflected in HPI's findings, which reveal that drivers are more likely to speed in lower speed limits. In a speed survey carried out by the car data firm, more than nine out of 10 motorists were found to speed through 20mph zones - dropping to just 13 per cent in 60mph limits. The company also found that drivers were most likely to slow down for speed bumps, while vehicle activated displays (e.g. flashing smiley face displays) had the least effect. “With so many drivers on the road in 2019, it’s hard to believe how many are not abiding by the law when it comes to speed," said HPI Check's consumer marketing director, Fernando Garcia. "Speed limits should always be treated as a matter of paramount importance and ignoring them could risk safety on the roads." The latest DfT data reveals that drivers are most likely to break the speed limit in the early hours of the morning at around 4am. Generally, across all types of roads, they're less likely to speed during the morning and evening rush hours. 20mph limits are most ignored because their use is most abused by councils. I know of one put in place for a school that closed over 10 years ago - council wont remove it. Another stuck on roads 1/2 mile either side of one school, but a nearby school left with 30mph limits. "But school" is the most common excuse - yet the speed limits are 24/7, 365 days per year; and the schools are - even allowing for school clubs - 8am-5pm, M-F, and 36 weeks per year. And when the schools are open you would be lucky to do 20 mph because of all the parents dropping children off. Actually, the most common one I see is idiots who think that the 70mph limit only applies to motorways, who slow from whatever speed (normally well above 70) they are doing to 60 (and also by slamming on the anchors at the last minute) when they come across a speed camera. Very danagerous in fact. The application of m****ic policies, by m****s and for m****s.
In Brighton where the car hating idiot council imposed a 20 mph restriction on the Lewes Rd leading into Brighton it did nothing but cause bottlenecks. I always thought the default speed is 30mph - unless signed otherwise?? I’m shocked it is only three quarters. A total lack of enforcement due to massive cuts in the police,now incapable of catching anyone! 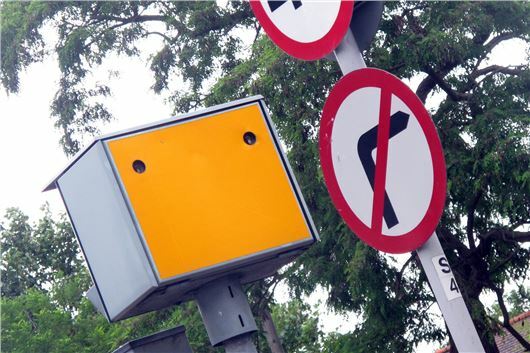 Judging by the regular stories about the sums 'earned' by fixed speed cameras, and there is always some sap who has "been caught several times", there are significant numbers of motorists who are too unaware to notice the signed limits. While on the subject, I assume that the people who speed through 'average speed check' areas are either very rich, careless or have not registered their vehicles. I wish people would concentrate on those idiots who do NOT drive at the limit when conditions allow. There are so many laws that are broken by doing this that it would be a better money-earner than speed cameras. Why wait three years for the black boxes to be fitted??? And what about all the amateur policemen who enforce 60mph in the outside lane of non-motorway dual carriageways? Don't get me started on the same drivers who enforce a 60 limit through the Hindhead tunnel either. What is it about people that makes them think that everything they had to know about to pass a test is to be ignored from the time they're first allowed out alone? Speed limits are almost totally random and influenced more by local pressure groups than road hazards or safety.. No wonder drivers don't know what the national speed limit is.